Guitar: The instrument closest to my heart, and the one where my favourite guitar player and the one whom I consider to be the greatest ever player are one and the same; the jaw-dropping Steve Vai. However I'm going to overrule my heart and go with my head here. 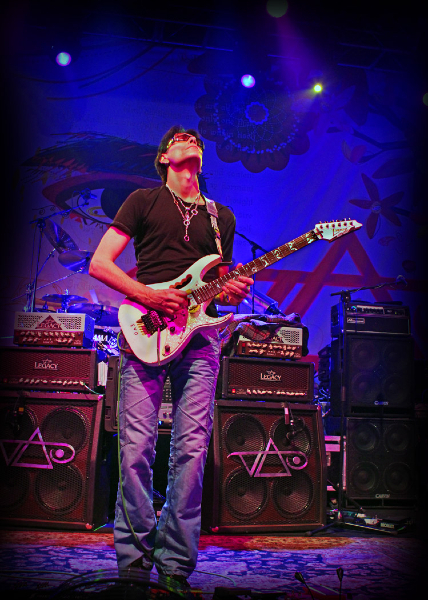 Vai is a truly great musician, but he can be a bit esoteric at times. A band with Keith Moon on drums needs a player with a bit of an earthier style. Thinking of guitarists who have defined or redefined rock playing, it comes down to 3. Chuck Berry was one of the pioneers of rock n' roll, and inspired most, if not all, of the '60's greats. Eddie Van Halen changed the technique of all those virtuosos who came after, but he stood on the shoulders of the ultimate guitar hero. A man who had his contemporaries sweating buckets that they were no longer the top dogs. The wisdom of having Hendrix and Moon in the same band, with the attendant chemical and alcohol problems it would cause, is dubious in the extreme . However this is a fantasy exercise, so let's roll with it. 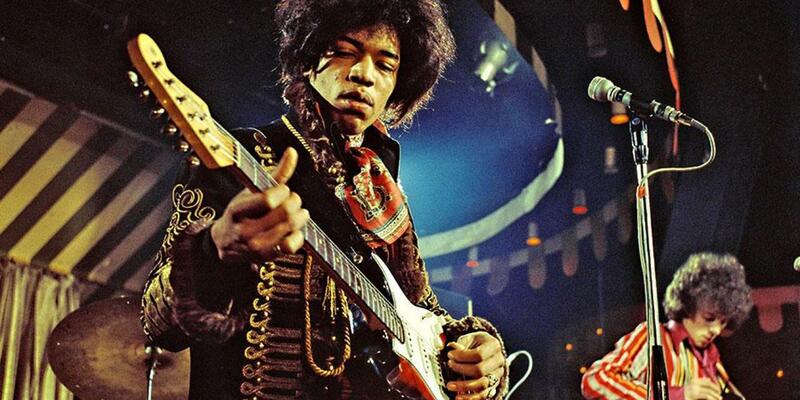 You can divide the history of electric guitar into two eras, pre and post-Hendrix. Ask most professional guitar players who the greatest was, and the majority would name Hendrix. Certainly there were guitar heroes before Hendrix. The aforementioned Chuck Berry, Eric Clapton, Jeff Beck to name a few. 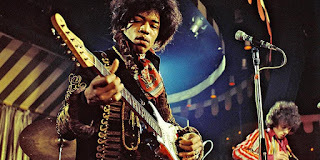 However, Clapton and Pete Townsend themselves have admitted that the game changed once Hendrix arrived. He was THE guitar hero. He had it all. Draw-dropping chops, charisma, and often overlooked, great rhythm playing. Check out this pre-fame session playing here. So far then we have Keith Moon, Paul McCartney and Jimi Hendrix. Who will complete this powerhouse line up?